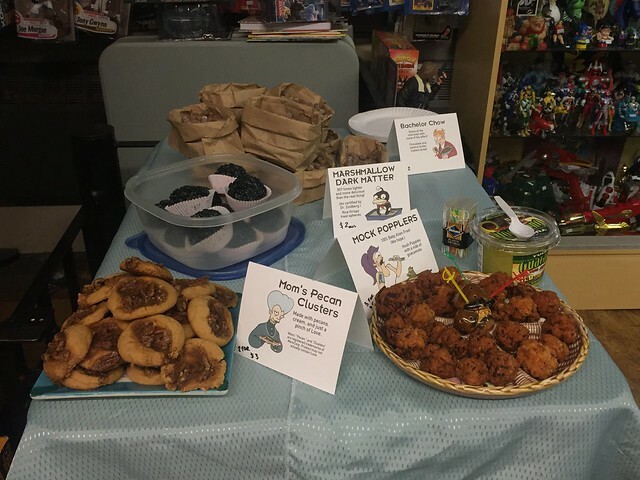 Last month The Goog (of Night Vale Bonus post fame) and Tiny Doom took the lead as we hosted our first ever Futurama Trivia Night. And boy, was it a success. So whether you joined us and want to relive some of the delightful memories or want to size up our events in case you would like to join us in the future, I have good news everyone...we are doing a recap. Let me start off by saying that this trivia has been years in the making. The idea was floated ages ago and for whatever reason, it kept getting delayed. The amazing thing is that the fan base for this show is so passionate, that even after its final cancellation, there was still a very strong following and push to host this trivia night. 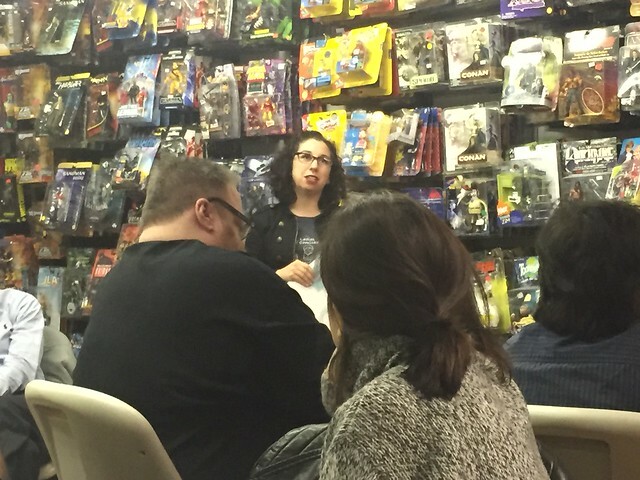 Trivia is a very serious thing for both the Ladies and Comicazi. 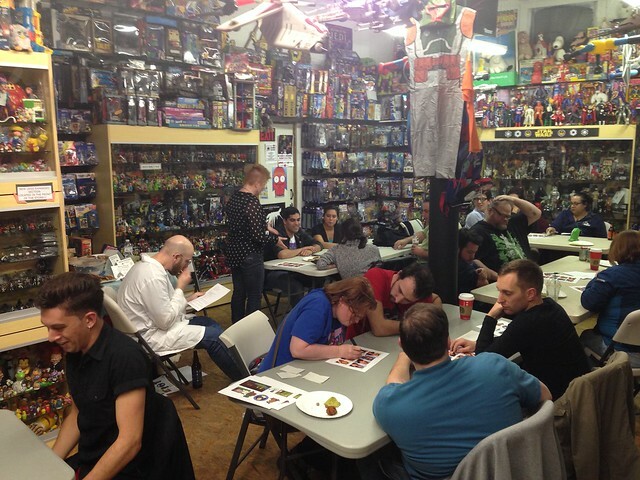 Throughout the year, members of the Comicazi community work very hard to create fun and informative trivia nights that are a far cry from the typical pub trivia you might find elsewhere. It's a great opportunity to make friends, groan over impossible questions with your fellow players, eat some yummy grub, and maybe even win one of those coveted Comicazi pins. Our next trivia evening is in the works. You should be there. Are you a fan of trivia? Thinking of joining us for the next one and maybe want to give a topic suggestion? See that poll down there? Let your voice be heard!